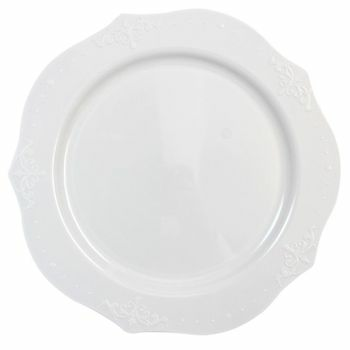 Elegantly set your table with the upscale, heavyweight Antique Collection plastic dinnerware. With beautiful antique, intricate scroll detail and a classic white finish, your events will be unforgettable! Enhance every event with this amazing, convenient, and durable disposable dinnerware collection.